Earlier in the year I attended my first Philadelphia Comic Con. Once I heard that all five Star Trek captains, including William Shatner and Scott Bakula, were going to be there, I knew I had to go. I grew up watching Scott Bakula as Dr. Sam Beckett on Quantum Leap and loved William Shatner as Denny Crane on Boston Legal. As evidenced by the image above, I jumped at the opportunity to get a photo with these two legendary thespians, and it turned out great. After having our photo taken, Scott Bakula turned to me, shook my hand and thanked me. This caught me off guard because I was about to thank him. He was as nice as could be, and Shatner was his usual charming self. Once the hard copy of the photo was printed, Bakula and Shatner autographed it for me. Meeting a celebrity is an unpredictable experience. You never know if the person you’re going to meet will live up to your expectations or let you down. Thankfully, I left this event with greater respect for these two men. Have you ever met a celebrity? If so, who did you meet and how did it go? I have just seen Dean Stockwell and Scott Bakula on NCIS New Orleans and was looking for photos and stumbled accidentally onto this one. Immediate response; “oh boy,” I am so jealous. I bet this was a fabulous meeting and I just wish they would come to the UK. I would be there in a heartbeat. Thanks! I met Dean and Scott at this same Comic Con and attended their Q&A, which was great. 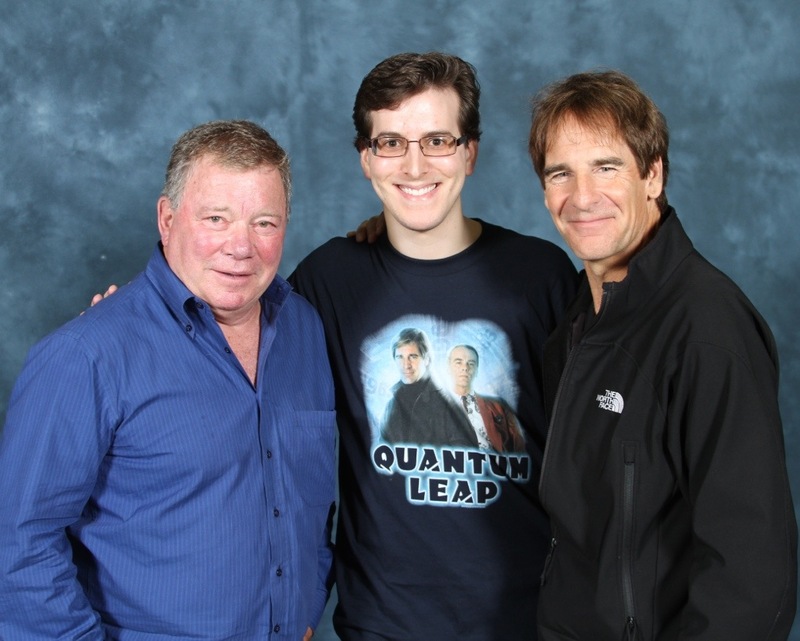 But I decided to get my photo with Shatner and Bakula instead of Dean and Scott because I like Shatner more. As for NCIS New Orleans, I have to check out that episode. I love it when Dean and Scott work together.